It seems that being bright orange and yellow is the recipe for success in the rainforest for several species of Australian huntsman spiders. 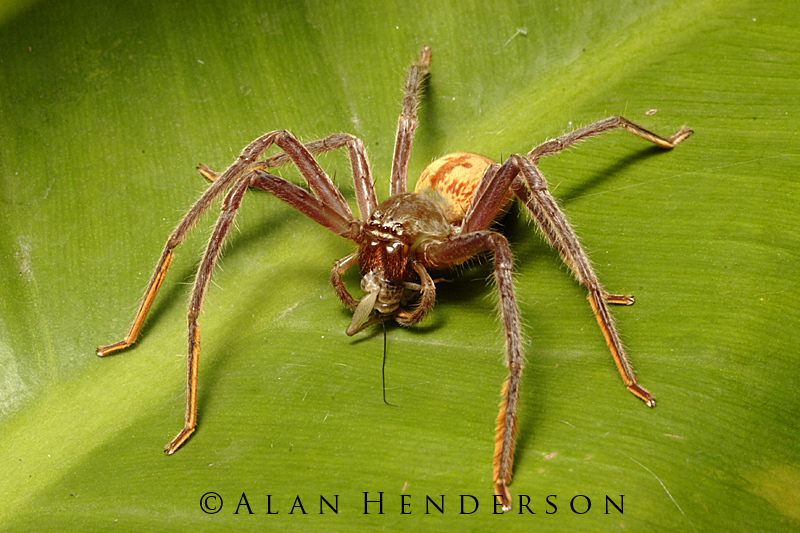 Compared with the grey-brown camouflage colouration of most of the southern species in the Sparassidae family, many of the rainforest huntsmen are simply stunning. This week I have encountered two brightly coloured species in the genus Beregama. Beregama cordata, the Fireback Huntsman, and Beregama aurea, the Golden Huntsman. 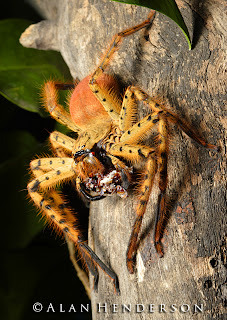 The latter is a huge spider and is considered the second largest species of huntsman in the world behind Heteropoda maxima from Laos. 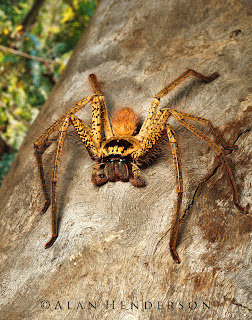 Previously in this region we have encountered the orange/yellow Sunburst Huntsman and the Tiger Huntsman, both of which are undergoing classification. Why bright orange? 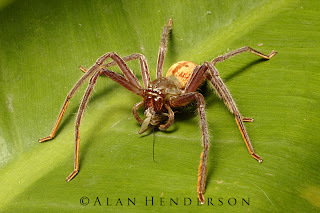 As juveniles these spiders are quite dull and cryptic, but they progressively adopt the brighter colouration as they grow. As adults, they often stand out like beacons within their habitats. Whether the colours are just for warning away predators or for some other purpose I cannot say. It does not seem likely that it is for courtship purposes as the vision of this group is quite limited, and courtship seems based upon pheromone detection and tactile interaction. Oh I have huntsman envy! 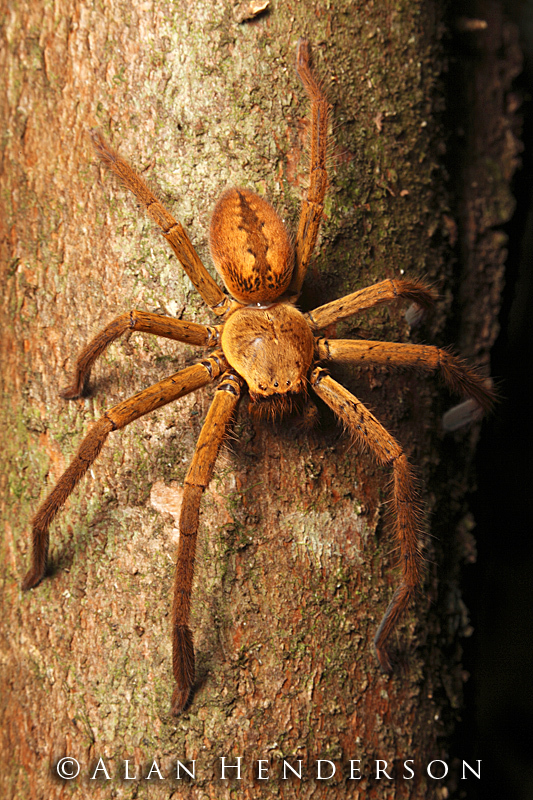 Was this huntsman ever described. Super capture by the way.